Giving Bed Bugs an Eviction Order – Not Your Tenant! One thing we hear landlords say when they are faced with bed bugs in their units is that they feel the tenant should be given an “eviction order” so they could get rid of the problem. The blame continues until the relationship between the landlord and the tenant is completely broken down and someone gets sued. Being a landlord can come with overhead and operating expenses that often exceed the return on investment of which the landlord has to pay out from their profits. Aside from standard repairs on appliances, these can include broken water pipes and plumbing problems, leaky roofs, cracks in the foundation and a multitude of other expensive type fixes including slip and falls when repairs are not properly done. Face it, being a landlord is not for the faint of heart. Bed bugs can be brought in by any human at any time and simply getting rid of the tenant will not get rid of the problem as some think. It’s not about clean or dirty that causes people to get bed bugs and this is a serious misconception. You need tenants or you will have empty buildings and will be fruitless; but in order to attract the kind of tenants you want it might be wise of you to protect and provide a safe, habitable dwelling for them. The following is a blog entry on the Internet from an investment landlord who made the statement that “if you have a tenant with clutter understand you will have to get rid of the tenant before your problem will be 100% resolved”. Moving the tenant out will be your only way to be 100% bed bug free. Do not waste time. I highly recommend if there is significant clutter, give your tenant notice to vacate, so you can be rid of the issue. One strategy that works is to give your tenant a 2-gallon sprayer full of Phantom. They will be able to spray all sorts of places that you might not be able to. They can spray new places every day. Fill it up when they empty it. I had tenants spray about 10 gallons of spray over the course of a few weeks. They really wanted to get rid of the bugs. That is about 40 x the recommended amount, but it worked. Unfortunately, this investment landlord doesn’t understand bed bugs and certainly lacks the skills it takes to be a responsible owner of rental property and is used as an example of what NOT TO DO if you are a landlord. One of the most important issues any person owing rental property can learn about is bed bugs. Clutter can cause a problem with remediation of bed bugs but is not the cause of having them. With an established bed bug protocol, rules and regulations up front can be the most significant issue a landlord can go over in detail with their tenants. These bugs are different than any other typical bug issue a landlord may have and certainly come with a huge learning curve. It’s all about education! Have you experienced bed bugs in the building/unit I am about to rent from you? (if yes) How long ago did you have this issue? What steps did you take to eliminate bed bugs? May I please see your pest control records for the past year? What are your standard policies and procedures for bed bug issues? Have you educated all your tenants about risks of bed bugs? What proactive protocols do you have in place for bed bugs? Can you guarantee the unit I am moving into has no bed bugs? Before a unit is placed on the market it goes through a thorough cleaning and inspection. This usually entails maintenance of all workable items first to make sure all is in working order. Then a fresh coat of paint is applied and then a cleaning crew goes in to polish and shine all the nooks and crannies, shampoos carpet, washes windows and makes the unit ready for the next renter. “If” the unit was not checked for bed bugs, and each of the maintenance and cleaning people were not fully experienced in the signs of bed bugs, they may have just painted over, vacuumed up or washed away any evidence of bed bugs and bed bugs are now hiding and waiting for the next victim. Have all units checked for bed bugs to create a “baseline” from which you can identify when bed bugs are introduced into your buildings. Doing so helps “target” areas that need immediate attention and can help prevent bed bugs from spreading and having whole buildings being infested. It’s like having bed bug insurance. In vacant units it is often very difficult for the human eye to find bed bugs and that is where bed bug scent detection dogs come into play. 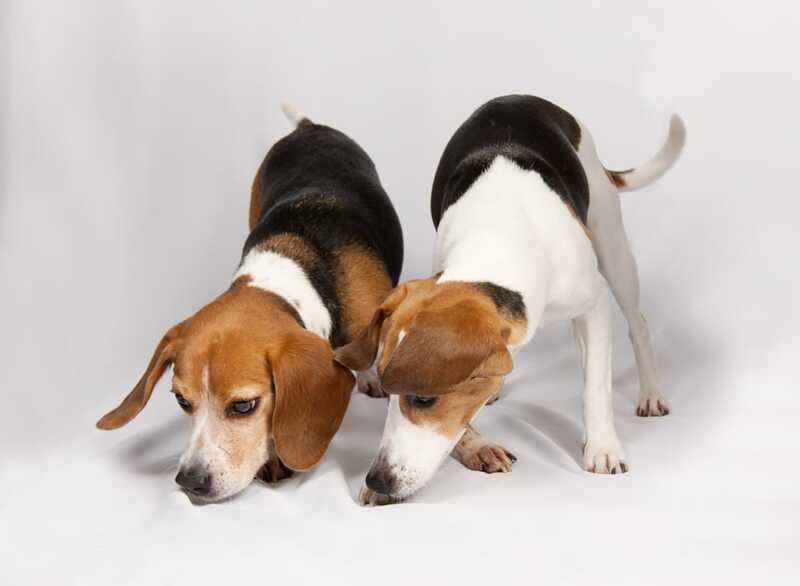 They have a highly developed olfactory system which has been trained to find the scent of bed bugs from eggs laid through all stages of development. For a reasonable and well spent amount of money; landlords can stay on top of the possibility of bed bugs going unnoticed and their new tenant falling victim. MassBedBugBusters works closely with the International Bed Bug Resource Authority (IBBRA) and has developed a Proactive Landlord Bed Bug Program. Massbedbugbusters.com http://www.massbedbugbusters.com has been helping realtors, property owners, hospitality and resident owners for years in Boston, Providence, MA, RI, NH and can help you too! To learn about this common sense bed bug approach for landlords and property management groups call us today 508-713-8267.